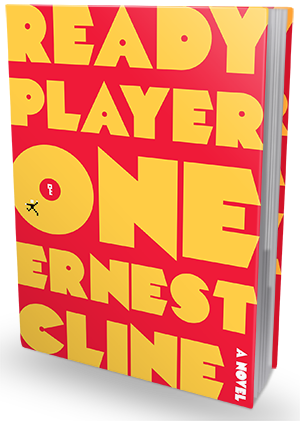 I was intrigued by Cline's vision of the future - a world where our escape (complete and total escape) is into a video game where we can completely recreate who we are. People in 2044 live and work in the OASIS and for some (like Wade) it is their world, especially considering the turmoil the world itself is in. It's very art intimating life, in a way. I think I would have enjoyed it more had I lived in the 1980s (and understood the more obscure references) and not been born in 1987 (allowing me to only catch the big/well-known ones). Also, Cline would lose me when he went into extreme detail about the technology of they day. Necessary since we have no idea what these machines do, but after a while, it got tedious. However, these two things were not big enough issues for me to stop reading. I really got caught up in Wade's attempt to beat the evil corporation (IOI) and find Halliday's egg and gain is fortune in effort to keep OASIS from commercialized. IOI is one of those true evil corporations that will stop at nothing to get what they want, which include murder. I really like the other characters and their interactions with one another, even if we only knew them through their avatars in the OASIS - up until the climax of the novel anyway. In the end, this is a highly entertaining book, especially if you get 80s pop culture. One of the best aspects is that you do NOT have to be a gamer to appreciate the adventure and storytelling.